Could the mining moon provide a source of energy for Earth? (PhysOrg.com) -- As fossil fuels increasingly fall out of favor, many are looking into alternative energy sources to help us power our lives with a smaller impact on the environment. You already know about solar power and wind energy, and hydro-electric power and nuclear power have been around for decades. But scientists are increasingly looking to the natural world for additional solutions. • Helioculture: The idea is to create hydrocarbons with a little help from the sun. Brackish water is combined with photosynthetic organisms, nutrients and carbon dioxide and left in the sun. This process results in hydrocarbons that are ready for use a fuel -- not refining necessary. • Sewage: Our waste can...reduce waste. Using microbial fuel cells, sewage can be used in bio-electrochemical systems to create power. In fact, Norway has plans to begin using human waste to power the buses in Oslo. • Human movement: Could the expanding planetary population actually power itself through movement? There are thoughts that piezoelectricity could be generated with the use of special tiles placed in strategic places where people walk. These tiles would be made out of materials that generate energy in response to mechanical stress applied on them. As people walked to the bus, or jogged in the park, their pressure on these tiles could produce power. • Moon: For some time, scientists have considered ways to produce Helium-3, which is a non-radioactive possibility for mostly clean energy. However, creating He-3 on earth is a real pain. However, our near neighbor, the moon, has this light isotope in abundance. Could we see mines on the moon, working to tap into this source of possible energy? Maybe. 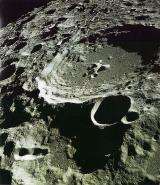 One Russian company, RKK Energiya, thinks that moon mining for Helium-3 could be a possibility by 2020. It is clear that we do need to start using our innovation to look for alternative sources of energy. It will be interesting to see which (if any) of these alternative energy sources actually become viable. I'd be curious how much energy could be generated if we designed "piezoelectric stairs" for busy subway stations. Norway has plans to begin using human waste to power the buses in Oslo. Nick - "I am out of fuel"
Nick - "I'm out of that too!!!" With WHOM, pray tell? Socialist retreads with pockets full of cooked data don't really count, do they? Why don't we leave politics to politicians and focus on the science. how about piezoelectric solar panels which are activated by photoswitches? or nikola tesla's plans for ionospheric energy? and what exaclty is a "piezoelectric solar panels "??? -- a devices that generates energy by the movemnet of what?? JSCROFT - even if fossil fuels caused climate change proves to be not true, we still have to find alternative solution, because at this rate, our oil reserves wont last more than one century. (in the best case). I'm still waiting for someone to seriously start developing beta-voltaic cells to generate power using our nuclear wastes. Love solar, wind, but the only thing that can really scale right now is nuclear. There's a lot of options in thorium and other breeder technologies and we should go all out with them. This will buy us (a lot of) time to finally get fusion and hydrogen economies going. I wonder if piezoelectric pavements/stairs etc could help combat obesity too. You need to use a tiny bit more energy with every step, would it add up to anything sizeable over the course of a day? How is Helium-3 a clean energy source? Are you talking about using it as a fuel source for fusion? If so, then isn't even that kind of fusion theoretical? I'm all for nuclear fusion research but isn't this jumping the gun a little? Finally, I see nothing wrong with wanting energy independence, either from Big Oil or coal or nuclear fission. Why would you want to be dependent on Big Oil, or anyone else, for your energy? I'm assuming that you must be a conservative based on your comments so shouldn't you be screaming for (energy) independence too? Human movement ? Really we're not energetic enough beasts. Possibly it might illuminate our subways but above that... Also what was stated above about helium-3 fusion is not even tested anywhere (correct me if I'm wrong) not to say proven/useable technology. Only one I see viable is sewage (be it from humans, pigs, cities throwing useable nutritients to rivers+pickup near/at sea). This article was written 3am "last chance to do my promised x words" kind of thing ? Helium-3 fusion is extraordinarily powerful and non-polluting, it can release millions of times more energy than fossil fuels without neutron hazards. I think a better way of producing clean energy from Helium-3 is using aneutronic reactor. Suchros, there are nuclear fusion experiments in the US and Europe (and maybe one in China?) usings very small amounts of H3 that are successful, and also produce more energy in ONE reaction than an average fossil fuel power station does in two months. Hydrogen-Lithium Compopund for vehicles/aircraft etc and Nuclear Fusion and Biogas (from sewage) for industry would get rid of our power problems.